Calling systems are automatic computer phone systems that dial numbers from a list and play recorded messages or transfer the calls to operators. Database Systems Corp. (DSC) is a leading provider of call processing technology including automatic calling systems. 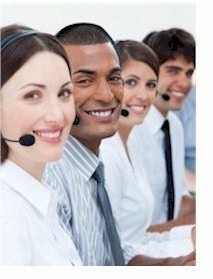 Our automated phone dialers perform voice broadcasting and autodialer functions. Auto dialers from DSC can deliver recorded phone messages to hundreds or thousands of call recipients at once. This advanced communications technology has both commercial and non-profit applications. Emergency alerts and messages can be sent to members of a community, school, or church. Informational messages can likewise be delivered to clients of commercial enterprises. Calling systems can send voice messages that are played to both answer machines and live contacts. If the automatic dialing system detects a "no answer" condition or "busy signal", the phone message can be scheduled for delivery at a later time. Contact DSC to learn more about our calling systems and phone services. The Oxford Park Commission and R.S.V.P. use our CARE telephone reassurance calling system to provide its senior citizens with a call reassurance service. Citizens can be called daily to ensure their well-being. DSC offers both affordable and expandable calling systems. 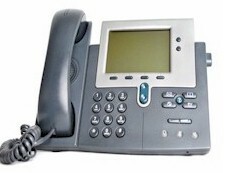 These phone systems include a modern Windows PC with computer telephony boards from Intel / Dialogic. When combined with our extensive IVR software, these phone systems can perform both inbound call distribution as well as outbound calling campaigns, both at the same time. The WIZARD analog calling system is our entry level call center phone system that supports up to 48 analog phone lines. If your outbound calling center requires more lines, our PACER digital calling system can be used to deliver voice messages over hundreds of digital phone lines. Our calling system not only can detect answer machines but has the distinct ability to leave a pre-recorded message on this machine without the nuisance of truncating the delivered message. Statistics have shown that an individual is 2 to 3 times more likely to respond to a message left on an answering machine than to respond to a mass mailer. Most traditional calling systems just discard these calls or at best, schedule this number to be redialed later. These dialers are ignoring the potential of getting additional leads and business by leaving a targeted message. Contact DSC for a FREE analysis and quote and to learn more about our automatic calling systems.